It's my DAY 20! Time flies so fast. It feels like I just started. But I'm losing more and more.... YEY! Last Sunday, March 18, I had a terrible headache. I know the culprit. I took my breakfast at 8:00AM and did not take my midday snack coz I went to the church and attended the mass. Had my lunch at 1:00PM. That's it. The hunger had passed me by. It's not a good idea to skip meals/snacks. Good thing there's a Facebook Closed Group. I asked them if I can take a pain reliever. I took advil and was relieved. It pays well to have support group. Thanks for their prompt reply. I am loving the group now. WOOOOT! Moral of the story: Don't skip meals or snacks. Don't go out without eating food for so long (5hrs). Bring "baon" if possible. This is baked mozarella cheese with mixed veggies (mushroom, green bell pepper, tomatoes). paired with apple slices and some Jacob's crackers. Yummy! 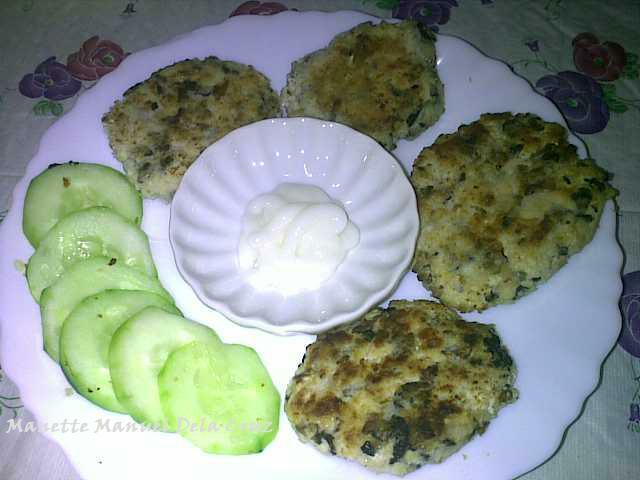 Chicken and mushroom cakes. Seasoned with salt, pepper, garlic powder, and oregano. I made a shrimp version of this. And I can say that shrimp cakes are way better than chicken cakes. Wasn't able to take a picture though. Pan-fried chicken fingers on a bed of pechay and pechay baguio. This is quite good! I normally simmer the veggies and overcook so it would shrink and totally look mushy. I like it this way. This is my favorite. 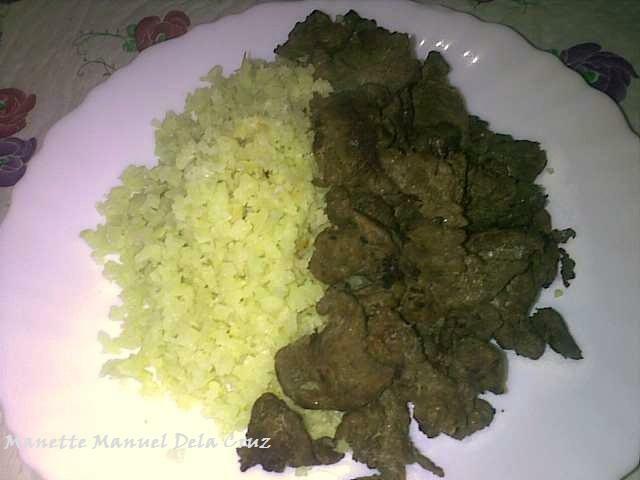 Cauli rice and beef tapa. 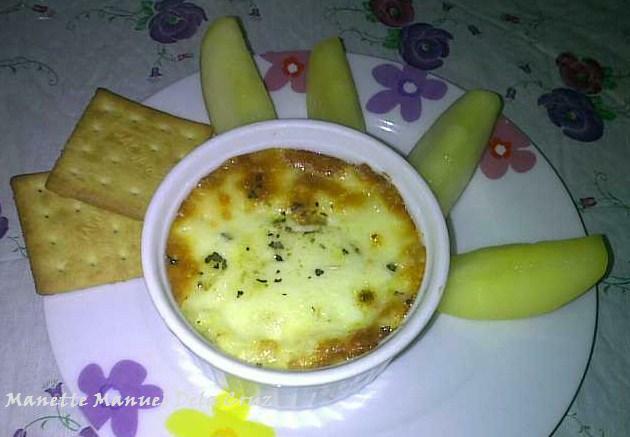 Special thanks to a fellow cohenite for introducing this recipe. 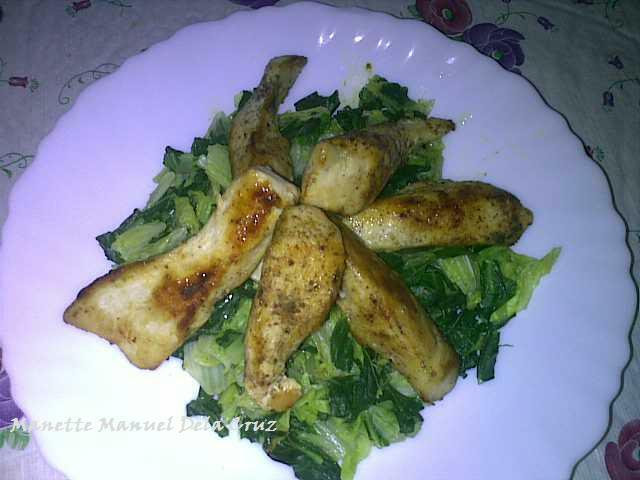 I cook this often because it's very easy to prepare especially on lazy days. BIG THANKS! Thanks for the support! Let's do this! What's the recipe for the cauliflower rice? cauli rice, chop or blitz and then boil and fried. Keep it up friend! Btw, this is riza. :) post ka recent pics sa FB :) mwah! how do you make the beef tapa? Stop, Look, and Stare! In a couple of months you won't see me in unflattering clothes like this. Wait till you see me in tank top. That's a promise! Join our Weight Loss Forum Community Today!